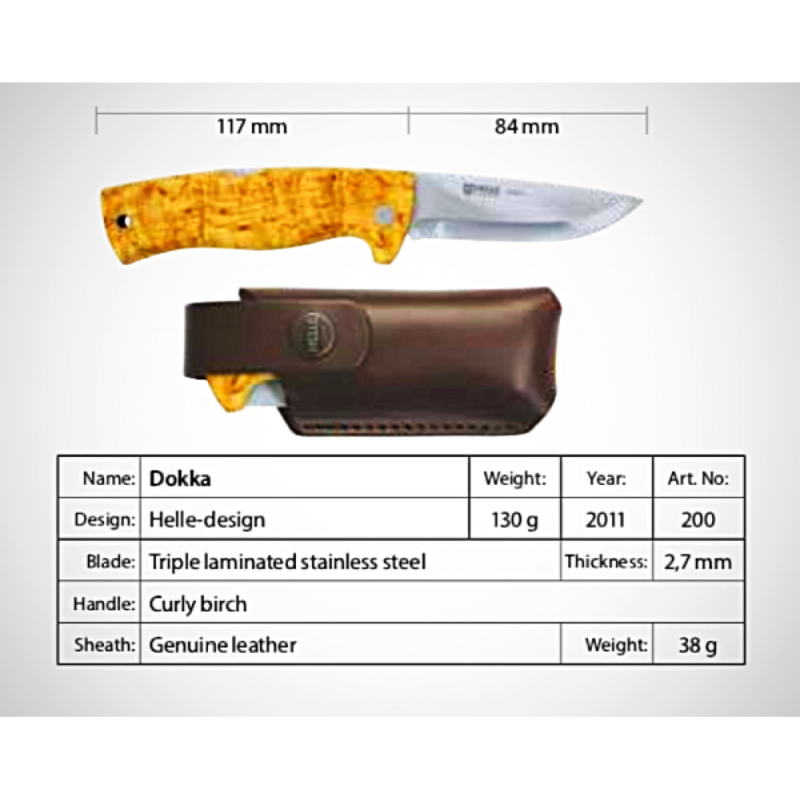 The Dokka knife is a classic all-purpose folding knife and in fact the first Helle designed folding knife ever produced. It has a beautiful curly birch handle hiding the integrated steel liners. It is also one of a kind since it has the unique triple laminated stainless steel blade made by Helle. The Dokka comes with a genuine leather pouch with an integrated belt loop.